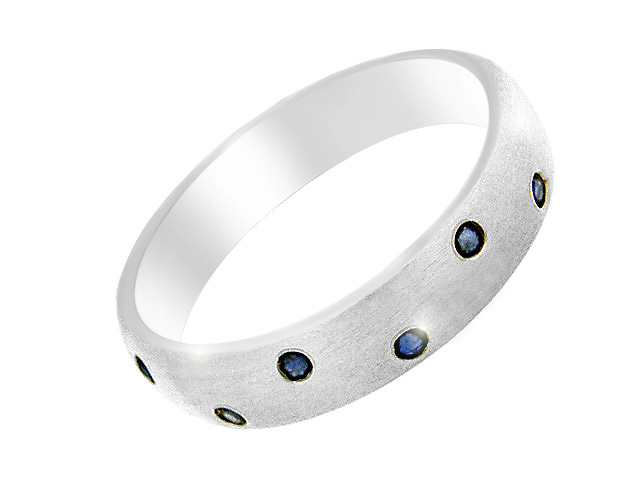 A Sapphire gemstone & Sterling Silver Ring This beautiful sterling silver ring host six round cut Sapphire gemstones across the head of the ring. The deep, blue tones from the ruby is perfectly highlighted from the gleaming sterling silver ring band. Platinum Overlay Sterling Silver Brazilian Andalusite and Diamond Ring Size O 2.000 Ct.